Quite simply, a Life Plan Community is not a retirement plan … but rather a plan for life! 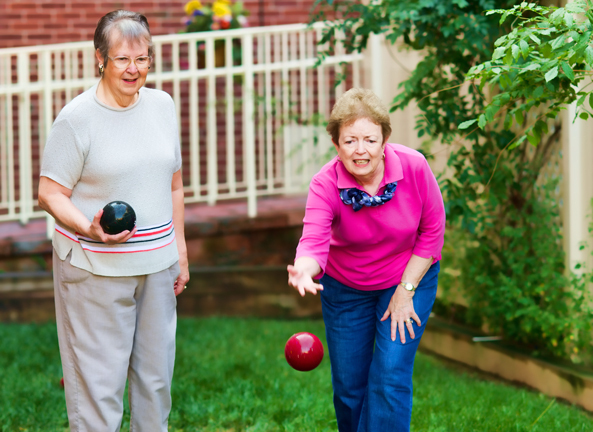 It’s a place where older adults can remain actively engaged in life, with opportunities to connect with others and pursue their interests. Most importantly, it’s a place where residents have a plan in place for the future … where they are in control of their lifestyle no matter how health needs may change. When you select Elm Terrace Gardens, you expand your options for a rewarding lifestyle and gain much-desired peace of mind. Here, maintenance-free living grants you the time to do the things you love while having the confidence knowing you’ve secured your future with a full continuum of care on campus. 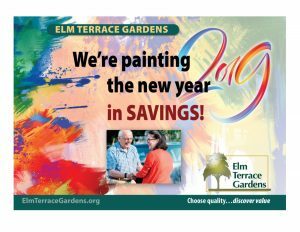 Elm Terrace Gardens offers worry-free residential living with flexible financial options, as well as supportive healthcare services including personal care, memory care (coming soon), rehabilitation and skilled nursing services.